Stacie is most comfortable in front of a group, bringing complex concepts to life in an easy-to-understand, interactive format. She has trained non-profit staff and volunteers, camp staff, Boards of Directors, and more. Stacie is also a skilled meeting facilitator, from structuring your agenda to guiding discussions toward your desired outcomes for the session, with interactive discussion exercises. 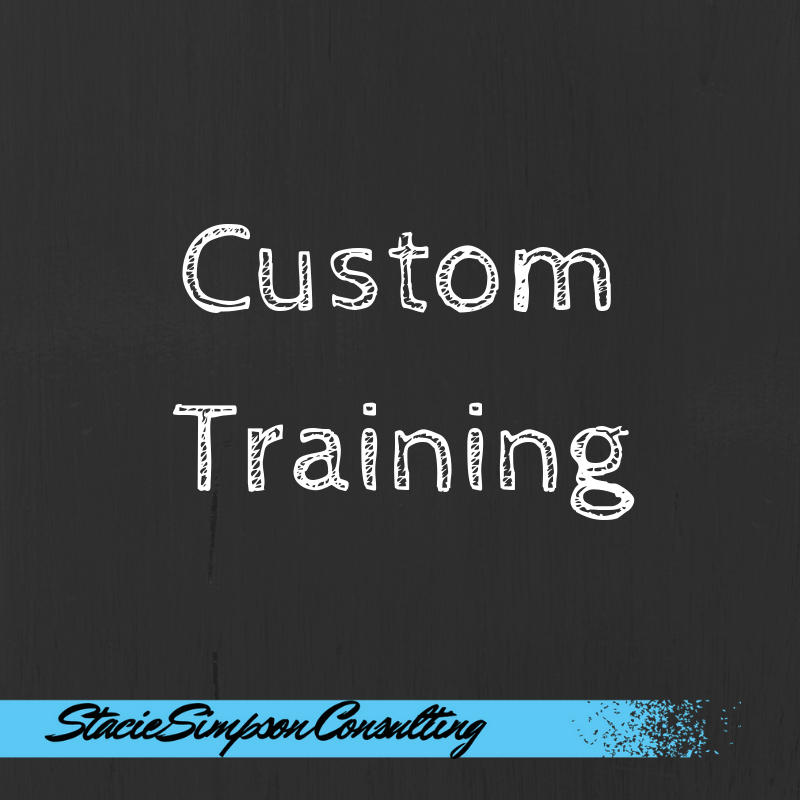 Contact Stacie at stacie@staciesimpsonconsulting.com to get started scheduling your training. Stacie is a very energized presenter who really knows how to engage the room. Her in-person style is always interactive, leaving participants informed and motivated. You can check out Meet Up to see where Stacie is presenting next to check her out. Thank goodness for technology. We can save you the trouble of trying to get everyone in one place and go with a virtual option instead. Our classic live webinar trainings are popular with volunteer organizations that are spread out. Recently, Stacie has lead live webinars on member portals like Girl Scout’s Volunteer Toolkit, volunteer role training, program delivery trainings, event planning, and volunteer management. 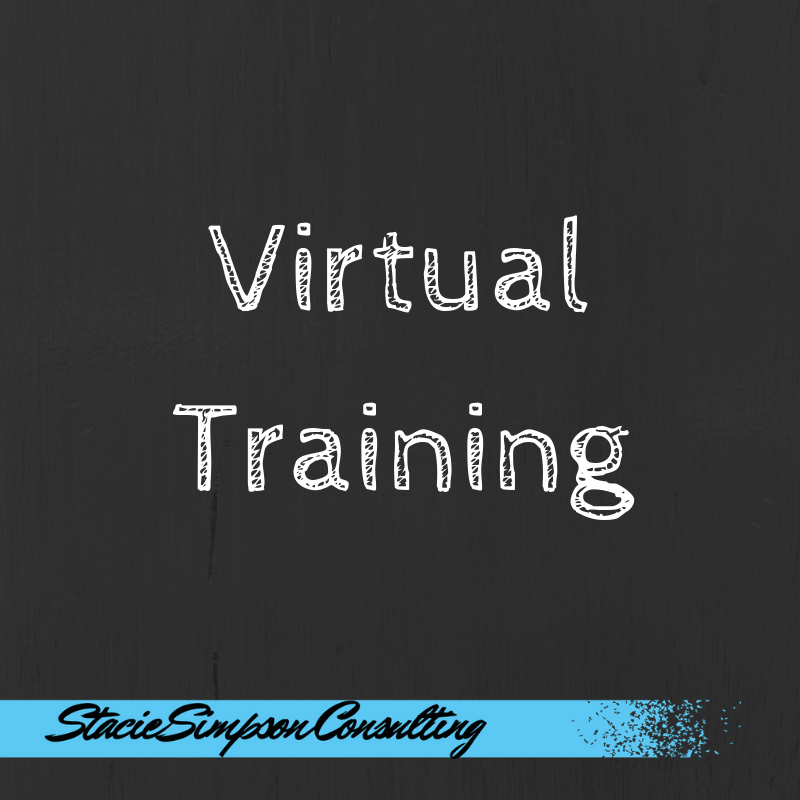 See her upcoming virtual trainings on the Calendar to get a feel for what she can offer. Pricing varies for pre-recorded webinars and animated trainings. Inquire for details. Stacie’s knack for trainings means she is ready to address your priorities. She may already have one that fits your needs, with a few tweaks of course. If you have a staff or volunteer meeting or training in mind that you would like to discuss, please contact us. Content development for new trainings is $80/hr in addition to presentation rates.